So I’m at my local Lebanese restaurant ordering my usual: 1 large bowl of creamy hummus and I overhear the business owner talking about things. Business has not been great in the short time that they’ve been open. And it’s sad to see because they make some great hummus and a mean mixed grill. I won’t even begin to imagine the complexities of running a restaurant, let alone one in Dubai. But I’m a website marketer who also happens to be a nearby resident and local customer. I have a pretty good idea why things haven’t gone the way they should have. That’s what these restaurant owners did. They made the assumption that simply being in business and putting up a sign would suffice. I know this because I’ve never once received a flyer or menu from their restaurant nor have they gone out of their way to promote the joint. As anyone who lives in Dubai will attest, direct marketing is alive and well in this city. It’s hard to go a day without finding flyers in your building foyer, wedged into the doorframe or on your door handle. Everything gets promoted from pest control to 24 hour grocery delivery to restaurant menus. Now I see this particular restaurant when I look out of my balcony and when I go out every day – but I see it because of where I live. It’s located on the ground floor of a huge apartment building and its entry point is at the side of the building. This means its not easily visible from the street by passersby. There’s no signage that indicates the restaurant exists other than the one above the door. Granted, there may be limits on this set by the landlord but when there are at least 3 other Lebanese restaurants within a 5 minute walk, it’s all the more reason to heavily promote your business. 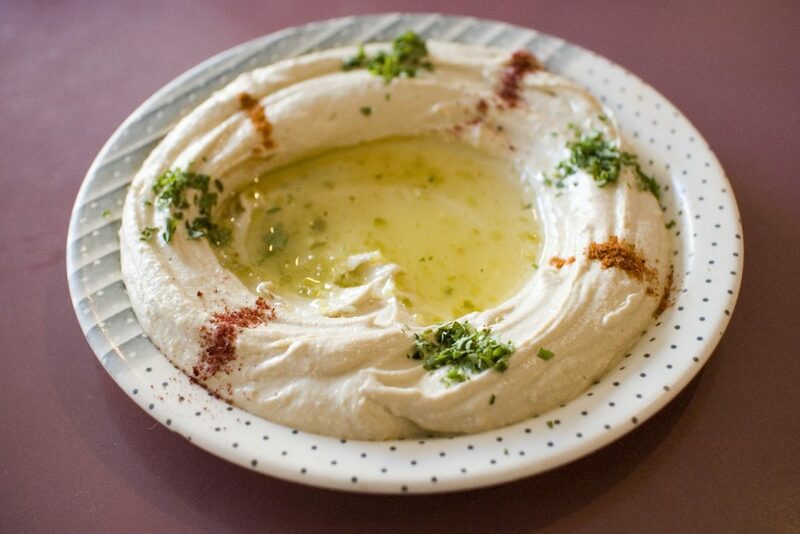 It’s an absolute shame because they make an excellent bowl of hummus that the world will never know about. I get hit on by restaurants from other suburbs but not by the one in my own backyard. Weird. The new supermarket that opened a few doors down went on a marketing spree even before it opened. For ages we all received flyers and door hangers promoting the supermarket, it’s app and ‘less than 30 minute’ delivery service. Even now that it’s been open a little while, we still get ‘spammed’ with flyers every other week. I don’t actually mind this. As a marketer, I can appreciate when a business makes a solid effort to get noticed. Dubai has a grocery store at every turn (along with barbers, laundry services and spas). This doesn’t stop them from going all out to ensure they are top of mind. When most places offer free delivery with no minimum order amount plus many offering 24 hour service, you have to do whatever it takes to stand out. Similarly, with your website, you’re never really going to be the only one in your niche. You have to come out fighting and compete effectively, otherwise, why bother be in business? Simply building a website and thinking your brand name or word of mouth or a sign with flashing lights will suffice is just not enough. It’s 2018 and this shouldn’t come as a surprise to you. Can you really afford a half-baked approach to promoting your business and website? You have to invest in a website marketing strategy before your site even launches. The supermarket invested in promotion long before it opened its doors. It made sure it got noticed. You don’t need a functional website pre-launch. A ‘coming soon’ page with links to social media profiles AND an email signup box is all you need. (side note: email is a phenomenal marketing tool and you should get on it). When your website is being built, think about addressing customer questions and concerns when creating your content. Don’t just talk about what you sell or offer. Frame it in a way that answers questions and solves pain points. This is often how people search for things online and how they will remember you. Make sure you’ve implemented SEO best practices during the site build so that your content can be found once your website goes live. If your content can’t be found because you forgot to invest in SEO, you set yourself back significantly. You can always do SEO later on but in my experience, when you delay SEO, you delay success. Like the Lebanese restaurant next door; if you don’t tell people you exist, how is anyone ever going to find you? Give your business a running start. Invest in a website and marketing strategy. Hire an experienced SEO consultant. It’ll cost you far less than what it will when your business goes bust. Extra reading: I also wrote a guide on how to market your restaurant in Dubai.